"Ann Randolph is a multi-tiered invitation and adventure in interiority, grief, healing; and her teaching touches a part of my heart that brings me to my knees…laughing, sometimes crying. Ann is a master teacher." "I value every second of every moment I have spent in Ann’s workshops. She has brought inspiration and light into my world as an artist I didn’t know existed. For that I will be forever grateful. Without her I wouldn’t have written my play, it wouldn’t have been produced at two highly regarded theaters in LA, nor would I have had a dreamlike run at an Off-Broadway house in New York, and I wouldn’t be in talks with a “very big” MAJOR publishing house and a notable Literary Agent about any of this - if it hadn’t been for her - her talent, genius and generous guidance." “Ann Randolph is a magnificent teacher. That’s why I’ve returned to study with her again and again. I’m a seven-time published author and I teach writing all over the world—and Ann is my go-to teacher. Every time I study with her, she jumpstarts my writing, helps me tap into my deepest material, and pushes me right over the edge of my comfort zone—exactly where I want to be because that’s where the creative jewels are found." "To work with a master of her craft is rare, for she has wisdom and patience, humor and honor, irreverence and fearlessness all in her toolkit; Ann Randolph keeps company with the Muse, in cornerside joints as well as pristine beaches; her Inspirational Artistry - whether she is performing or inviting the artist in you to com out and play - is an alchemical experience. She employs a grounded yet fluid, seasoned skill set to help you soar."  “This workshop in Kauai has opened my heart and shifted my entire being toward alignment and wholeness. Ann creates and holds space that is both safe and creatively charged ~ it’s a curious space, curiously safe, to the point that you can’t catch up with your subconscious as it surfaces through old and hardened armouring, and gently shows you what you might need to see in order to become lighter and more authentic. Wow. I could never have imagined this experience happening in one week. I am so grateful for this unique opportunity: to practice breaking through those old fears and express!!! Revealing and feeling my true feelings and then transferring them onto paper has made my writing more real and more raw, and the process of writing has become more engaging and purifying." "Before meeting Ann I was figuratively and literally lost; she gave me the platform for self-discovery and enabled the growth of my creativity, spirituality, and self-belief."